Wiz Khalifa and Snoop Dogg concert in New Jersey last night ended prematurely after a railing collapse injuring some 42 concert goers. 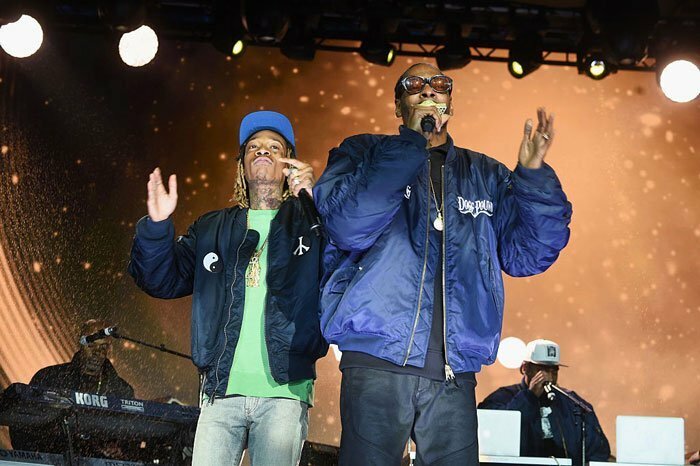 Wiz and Snoop were performing at the BB&T Pavilion in Camden, New Jersey on Friday night for their High Road Summer Tour when suddenly halfway through their set a barrier rail collapsed. The two rappers were on the stage performing while the rail gave way. In several videos posted on social media, you can see both Wiz Khalifa and Snoop Dogg being told to leave the stage after watching in horror as some of their fans fall off the platform. The entire front row of the audience fell overboard. According to USA Today, there were at least 42 confirmed injuries but no fatalities. The concert was eventually canceled with several of the injured taken to a local hospital. Wiz Khalifa and Snoop Dogg are currently making their was across the country for their “The High Road Summer Tour” with a few special guests including DJ Drama, Casey Veggies, Jhené Aiko, and Kevin Gates.